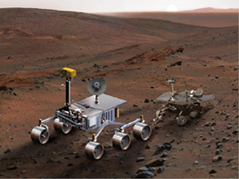 Mission Support – Santa Barbara Applied Research, Inc.
SBAR provides ongoing support to the Jet Propulsion Laboratory, NASA’s lead center for our Nations robotic exploration of the solar system. Our staff of scientists, engineers, information technology specialists and technical support personnel; provide services to JPL in five areas which include: Research and Development Support, Project Oversight and Production Support, Mission Operational Support, and Facility Management Services and Administrative Support. These services are provided across a wide spectrum of JPL projects like ASTER, Casinni, GPS Earth Observatory, Mars Science Laboratory, Stardust, and Voyager. SBAR provides ongoing support for the design and implementation of the signal processing systems for the Deep Space Network (DSN) breadboard array and assists in the debugging and testing of the Mark IV VLBI data acquisition and Block II Wideband VLBI Correlator systems. Our duties will include circuit design, schematic capture, printed circuit board layout, FPGA design, circuit test and debug, and hardware / software integration. We provide design and simulation support for real-time digital signal processing hardware and software systems. These include the large antenna arrays funded by NASA for the DSN. We assist in the debugging and testing of the Wideband VLBI Correlator in support of the Delta VLBI spacecraft navigation system. SBAR supports Institutional Computing and Information Services (ICIS) and provides IT Security Service Engineering. We conduct analysis of requirements and security documents, evaluating the documents for cost, risk and impact. We assist JPL in the development of IT Security Requirements (ITSR) that conform to NASA requirements. We perform software system engineering to: propose and design processes and software system changes necessary to incorporate the new IT security requirements. SBAR finalizes JPL software to incorporate high-resolution ECMWF analyses into the GPS occultation processing system. We generate GPS moisture profiles in the tropics using ECMWF temperatures as necessary, and compare these with moisture profiles generated directly by ECMWF. SBAR performs statistical analysis of tropical water vapor profiles for future scientific publication. SBAR design engineers participate on design teams in a collaborative environment to design, develop, and test spacecraft flight hardware and support equipment for JPL spacecraft flight projects. They interface with engineers, designers, analysts, machine shop, and project staff to establish and negotiate requirements and interfaces for the hardware under development. 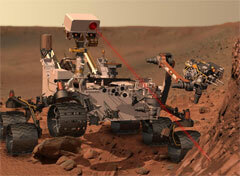 SBAR’s mechanical designers work to design spacecraft vehicle, mechanical systems and instruments for flight projects. They generate, maintain, and archive 3D CAD models and detail drawings and support the responsible engineers during fabrication to ensure manufacturability. Using detailed knowledge of the STARDUST spacecraft and instruments, in particular the camera and its calibration, SBAR personnel reduce imaging data taken by STARDUST from P/Wild 2. After the data is reduced, it is calibrated and submitted to the Planetary Data System (PDS). When required, personnel are also available to explain the strengths and weaknesses of STARDUST imaging data to other comet mission scientists. SBAR’s staff members provide technical expertise and leadership while serving in the roles of Voyager System Engineer, Mission Controller/RF System Engineer and Lead Systems Analyst/Mission Controller on the Voyager Spacecraft Team. The Voyager System Engineer supports the Voyager Spacecraft Team as a multi-functional engineer, with focus on AACS activities, on spacecraft performance trending, analysis and prediction, and on automating spacecraft operations activities. Tasks also include; support of trade analyses for spacecraft reconfigurations for long-term operations, performance of sequence integration tasks and spacecraft mission control tasks.